Kiran Sadhwani beat the expectations of many when she became first ever female engineer from Thar. She was hired by Sindh Engro Coal Mining Company (SECMC) as part of their Thar Coal Project. 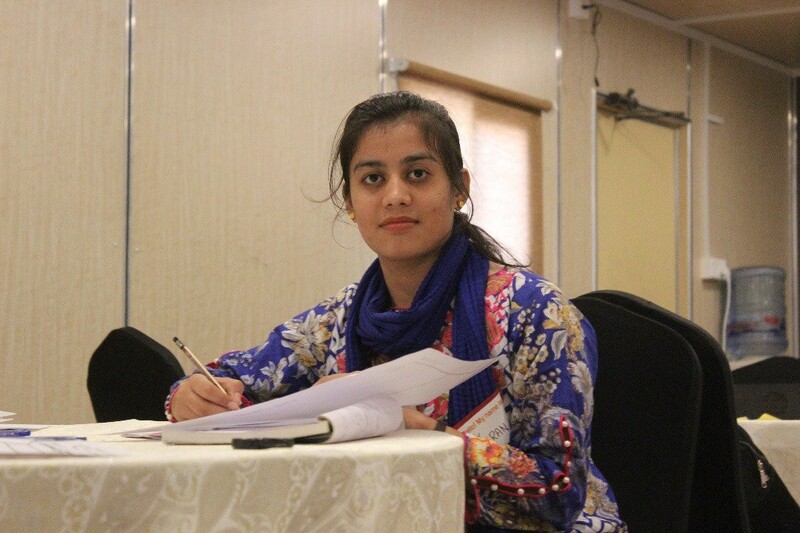 While most of the girls in her hometown of Mithi opt for medical or teaching, Kiran decided to sail against the wind and take up engineering instead. She completed engineering from Mehran University of Engineering and Technology (MUET) before she was hired. Kiran is the only girl in Thar to ever work as a site engineer. This hasn’t been smooth for her, she was opposed by many, including her family, when she decided that she would work in field instead of sitting in an office. Fortunately, she got a lot of support from her family when she decided to study engineering unlike many other girls of her town who opt for medical. I was opposed by Thari community because I did not choose medical or teaching field but I chose engineering. And I chose it deliberately not just to make difference but also because I was saw vast opportunities in the field of engineering. Changing the mind set of Thar community was the biggest challenge I had to face. She says she loves tech and innovation, which is why she saw her future in engineering. Before she was selected at Sindh Engro Coal Mining Company (SECMC), Kiran applied for some private IT companies in Hyderabad and Karachi. However, instead of choosing a relatively easier office job she went for a more difficult field job. The selection process was too hard and after meeting criteria and screening I was offered the job at Thar Coal Field. Though I was confused first as it was against the built mindset of Thar community but later I accepted the offer. Around 4000 people applied for the job and only 25 were selected. Kiran is the only female among the 25 selected candidates. SECMC has not just given me this opportunity but it has also shown the world that Thari women can do wonders and are not any less passionate than other women. She says she isn’t the only one working in Thar for a change. There are other women too who are working as drivers and other jobs that are traditionally considered for men in the area. There is nothing I have to fear here as SECMC has provided me with a very comfortable working environment and I have never ever felt a bit of hostile behavior from my fellow workers. In fact, they have always encouraged and supported me during work, and assured my family about my safety as my father was a bit hesitant in leaving me here at first. She says initially her family was against her working in the field but now they are more supportive of her as she continues to work. Kiran says that she has no regrets over making this decision. She says that she also wants other women to follow up and don’t be afraid of working in the engineering field. Furthermore she added that women should follow their dreams without thinking what others would think of them. The concept that women are too weak to be considered for such positions has become an old tale now. The world is changing for women not at fast pace but gradually. The women of Thar are resilient. They must stand with men, shoulder to shoulder in transforming the Tharparkar region into a land of opportunities. Thanking SECMC she said that she is grateful to the company for giving her the opportunity of proving people wrong that women can’t work in the field. “You should be what you want to be” says Kiran. Women like Kiran show that if you have sheer determination you can achieve whatever you want in life. She doesn’t look like a Pakistani. Hence the total article doesn’t make sense. That’s literally the most stupidest comment I have ever come across. Lmao. Obviously she looks to belong to a well-off family. No big deal she belongs to which area then.